Like the first and second intifadas, the current wave of terrorism is being exploited by Palestinian organizations and leaders, including by Palestinian President Mahmoud ‘Abbas, who attack Israel and accuse it of terror and crimes while making false claims and allegations. Some Palestinian organizations and leaders praised the perpetrators of the attacks, stating that they acted in self-defense. Fatah’s military wing, the Al-Aqsa Brigades, even called to escalate the attacks. 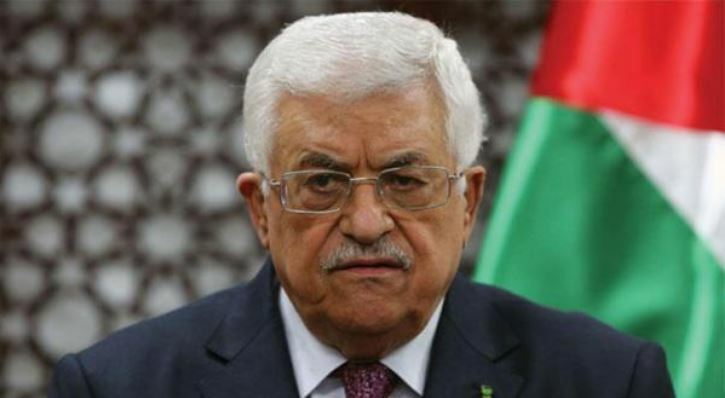 In his recent statements and speeches, ‘Abbas did not mention any violent Palestinian actions, but spoke only of “popular resistance,” which he advocates. This term is highly misleading, since it evokes nonviolent action such as peaceful protests and marches, whereas the recent wave of Palestinian terror has included mostly knifings, many of which resulted in grave injuries and deaths, as well as the throwing of stones and firebombs and the slinging of metal balls, which have also resulted in injuries and deaths. PA and its head, Mahmoud ‘Abbas, have not only refrained from condemning the terror of the recent month, but are encouraging it to continue and are presenting the perpetrators not as attackers who deliberately set out to stab Israelis but as innocent Palestinians whom Israel executed under false pretenses. They call the injuring or killing of terrorists “war crimes” and even state that they mean to sue Israel in the International Criminal Court. The language used by ‘Abbas – such as “the terror of the Israeli government and the settler herds”, “execution in cold blood,” and “Israel’s hostile attack” – is obviously not conducive to calming the atmosphere, and in fact incites violence. Granted, ‘Abbas and his security apparatuses are currently working to prevent the spread of the conflicts in the PA territories, and they have indeed arrested Hamas activists. Furthermore, ‘Abbas met with Fatah leaders in the various districts, apparently to instruct them to take measures to quell the violence. However, these measures seem to be motivated by the fear of losing control of the situation and by the desire to avoid giving Israel an excuse to retake the PA territories. In his October 14, 2015 speech on Palestinian television, ‘Abbas reiterated the libel that was the main catalyst for the current terror incidents, namely that Israel plans to alter the status quo in Jerusalem, despite repeated declarations by Israeli officials that Israel has no intention of doing so. ‘Abbas also declared that Israel’s actions were sparking a religious conflict. He said: “These days Israel’s hostile attack on our Palestinian people, its soil and its holy sites is intensifying, and the savage racism in its ugly form adds hideousness and repulsiveness to the occupation. These pose a threat to peace and stability and herald the lighting of the fuse of a religious conflict that will spark an all-consuming conflagration not only in the [Middle East] region but in the entire world. This is a warning bell for the international community to immediately intervene in a positive manner, before it will be too late. In his speech ‘Abbas called to continue the “popular resistance” and congratulated Jerusalem and the martyrs, stating that the events are the result of Israel’s rejection of the hand extended in peace and the continued construction in the settlements: “O heroic Palestinians, in your struggle and steadfastness you have gained considerable victories and political achievements, and thanks to this wondrous steadfastness the Palestinian cause has gained the attention and earned the respect of the entire world. True, we have paid for it in the blood of our martyrs and wounded, in the tears of our mothers and the torment of our prisoners, but that is the price of freedom, which is now very close. “[I] congratulate you, our glorious people, as well as proud Jerusalem and its residents who stand on the front line; [I] congratulate Gaza, the West Bank and our people in the diaspora. Victory will come, with Allah’s help… We will persist in our legitimate national struggle, which focuses on our right to defend ourselves, the nonviolent popular resistance and the diplomatic and legal struggle, and we will act with the required patience, wisdom and valor to defend our people and its diplomatic and national achievements, which were attained following decades of struggle and persistence and via the long road of the martyrs, wounded and prisoners. “The instability and insecurity result from the Israeli government’s rejection of our hand that is extended in [a bid for] a just peace that will guarantee the rights of our people, its freedom and its national honor. [They result from Israel’s] stubborn persistence in building in the settlements and imposing dictates [upon the Palestinians]. Peace, security and stability will only be achieved if the Israeli occupation ends and an independent Palestinian state is established, with holy Jerusalem as its capital, in the June 4, 1967 boundaries. Other senior Fatah officials justified the violence and/or encouraged its continuation. In an interview with the Amad press agency, Fatah Central Committee member and former West Bank General Intelligence head Tawfiq Al-Tirawi said that the Palestinian people had the right to defend itself and to resist in order to secure its future, for popular resistance was one of the methods of resistance. Fatah Central Committee member ‘Abbas Zaki told the Turkish news agency Anadolu: “Armed struggle against the occupation is a legitimate right that we will not relinquish. However, this [activity] requires unity among all the Palestinian factions and establishing a central war room and formulating plans so that the armed struggle exacts a steep price from the enemy while [also] benefiting the Palestinian people. We reserve the right to [engage in] armed struggle, which is an option we will not give up, but we must consider how and when to carry it out, and whether the climate is right to use it to our benefit. At present we support [waging] a popular intifada that will confound the enemy and paralyze his security and economy, and prompt the world to address the question of how to end the world’s last remaining occupation. Al-Ayyam (PA), October 15, 2015. See MEMRI TV Clip No. 5080, Palestinian President Mahmoud Abbas: Jews “Have No Right to Defile the Al-Aqsa Mosque with Their Filthy Feet”, September 16, 2015. This entry was posted on October 16, 2015 at 4:57 PM and is filed under Abbas, Al-Aqsa Mosque, Fatah, Islamic jihad, Israel, Jerusalem, Jews, Palestinian Authority, Palestinian heroes, Palestinian terrorists. You can subscribe via RSS 2.0 feed to this post's comments. Man – you live a dangerous life ! The fist of the God of Israel ( the one and only God ) is 1 Inch above your head and could smash you any second ! ” I will curse those who curse Israel !” Thats for you Mr Abbas / Mr Abu Mazen / responsible for the munich massacre of jewish athletes…….! Pay day will come as sure as the sun will rise tomorrow !